Canada's Premiere Student Painting Contractors! 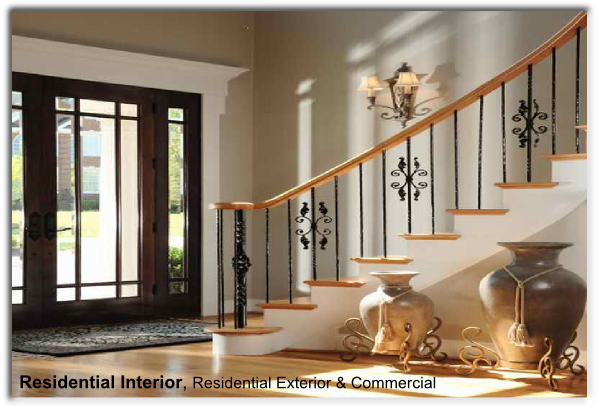 For over thirty years University First Class Painters have been painting contractors for Canadian homes and businesses. Our student painting contractors paint thousands of homes and businesses inside and out each year making us one of the largest painting contractors in Canada. We offer a fully equipped painting service that has a two year limited guarantee, workers compensation and liability insurance coverage. Our free written quotes provide you with the details on what is being done, how it is being done and what materials and paint it is being done with. As one of the largest buyers of outdoor paints and stains in Canada, so we know the painting business. We’re experts in re-painting the outside of houses and businesses too. Our college and university student contractors paint houses, apartment and office buildings, as well as smaller outdoor projects. Protecting high traffic, exterior wooden structures is essential. Painting and staining fences, decks and stairs are typical projects for most home and business owners. Our student painting contractors are an excellent and inexpensive solution for helping you maintain these time consuming, highly visible and high traffic areas of your house or business. We’ll treat your home or business with great care, painting walls, ceilings, floors, doors, railings, stairs and anything else in need of a coat of paint! We’ve delivered a quick, professional and cost effective interior painting service to our satisfied clients for three decades. We promise to do the job right! Since University First Class Painters formed in 1982, we have provided thousands of quality paint jobs for houses and businesses across Canada. We offer a fair price, quality workmanship, top caliber paints and materials and strive to achieve complete customer satisfaction on every job and are now happy to be offering our services in Saskatchewan. Our well trained student painters will treat your house or business with great care, ensuring surfaces are properly prepared and that paints and stains are applied correctly. Customers can be confident that the work we do will both beautify and protect your investment, whether it be a home or a business. We’ll do the job right, completing it on time and on budget. Our staff of student painters and managers have the skills, equipment and knowledge to satisfy all of your painting needs. 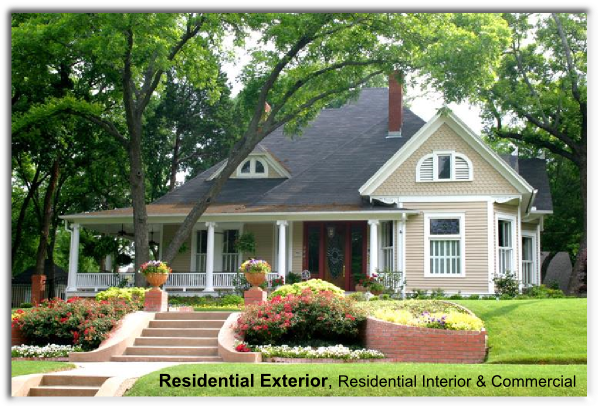 If you live in Saskatoon, Regina or surrounding areas, contact us today for a free painting estimate. "The best part was the prompt service." "I have absolutely no complaints about UFCP. I have already hired them to do more work on my house and I give their card to all my friends! " "We were very happy with the work! We would have him come back anytime!" "Avery was very professional and always polite. He was a pleasure to deal with and the work he did for me was great!" "Everybody I talked to with UFCP were very nice and the painters were very efficient!" "UFCP was a very good company to work with. My painter was very nice! " "Everything about UFCP was amazing! The painters made everything so easy and they were incredible! " "UFCP provided excellent quality and was very reliable! " "The team from UFCP did a good job! " "UFCP was awesome! They did exactly what they said they would do, exactly when they said they would do it! " "I recommend them to my friends." "No problems, the work that was done was good!" "The whole deal was pleasant to do. It was a pleasure doing business with Clayton and his company!" "The painters from UFCP had excellent integrity! " "UFCP did a good job! They worked hard and paid attention to detail. " "I was very happy with UFCP! I didn't have a single problem at all! " "Ricardo did a very good job!" "We were satisfied with everything that was done." "They did a nice clean job, and finished it quickly. They were in and out in one day. Very happy with everything!" "Ethan was very professional and business oriented. He did a wonderful job, and I believe he has a very bright future ahead of him. I am hoping to hire him again next spring for some more work I would like done! " "Overall it was a very pleasant experience! " "I would recommend University First Class Painters to someone I know. " "UFCP was perfect! We were very satisfied. Everything was worth it. " "I would recommend University First Class Painters to someone I know! " "Our experience with UFCP was very good! Everybody was really friendly and they did a good job. " "He was very professional and very personable! I had him back for a second time to do some more work in my house!" "They did a good job, I was happy when I got home." "My experience with UFCP was good! I was very satisfied with the whole thing! " "Andrew and his team were a pleasure to work with, and we were very satisfied with the service they provided." "We were very satisfied with the work Avery did for us! " "My experience with UFCP was very positive!" "They did an awesome job, he was great! Any problems I had they came right back to fix it." "We were very happy with the results!" "No complaints, everything worked out great!" "They did good work! We were satisfied with the job they did for us." "I thought everything was perfect! I was very, very pleased. " "Everything got done on time, he did a fantastic job! I would definitely call him again!" "Patrick was very professional and was always courteous and respectful. He was also very customer oriented and a pleasure to have around our home. We would definitely recommend University First Class Painters to someone we know. " "If I could, I would rate UFCP even higher than 5/5!" "They were just excellent! Very clean and tidy. They always made sure to clean up after themselves. We were very happy with the work that was done!" "They did a great job, painters were good!" "Overall, we were very pleased with how everything went. They guys were very nice and mannerly. Definitely recommend them." "It was great working with UFCP! I had a good experience with the company! " "The young people were very diligent and always on time. It was a really good experience. They were very courteous." "My experience with UFCP was very good! The people were friendly and informative! " "Our experience with UFCP was very good! The job was well done and everyone was easy to work with. We will use them again for future projects! " "My experience with UFCP was excellent! " "very professional and accommodating, I have recommended him to many people in the neighbourhood." "I was very happy with the work Levi did for me. He was very professional and completed the job within my time frame, which was extremely important. I would definitely recommend him to someone else! " 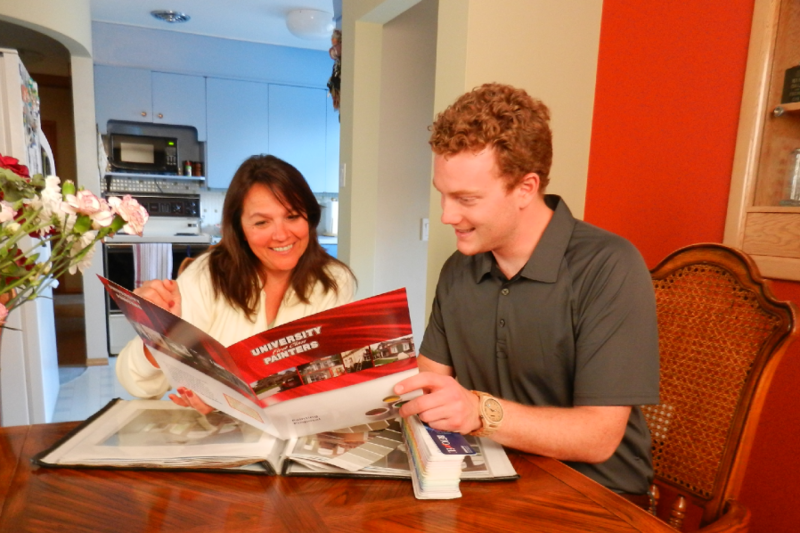 "I would recommend University First Class Painters to someone I know based on my experience with Carter! " "I was really satisfied with the job!" "They were very good. They found out one of our windows was rooted and had to wait for the repair but got it done as soon as our repair was finished." "I was highly impressed with UFCP! The people were very personable. " "I had a chance to chat with Samuel and I can tell he really puts a lot of time and effort into his work. He was super professional and I was very happy with the work they did for us! " "The people from UFCP were prompt and very professional! " "Bailey and his team did a great job! It was exactly what I wanted, and they also did a great job with the clean up. I would recommend University First Class Painters to someone I know! " "This is my second year dealing with this company." "They did a good job! They were nice and timely! " "They were really nice guys who did a good job and kept us informed along the way. " "I am very happy with UFCP!" "I have dealt with three other companies and this was the first time that I was satisfied. It was such a pleasure to have someone who knew what they were doing and do it so well!" "I couldn't complain, the job was good. Spencer was an awesome person and great worker! " "He was great! I was happy with the price and the service was phenomenal!" "Liam did a great job, I am very happy with the work he did! I would recommend University First Class Painters to someone I know! " "I had a great experience with UFCP! " "I thought they did a good job." "I was very impressed with how professional Logan was. The work went smoothly, and I would definitely recommend him to someone I know!" "I would definitely recommend UFCP to others! " "Our overall experience with UFCP was very good! The team was excellent! " "My experience with UFCP was very good! The painters were pleasant and I would recommend the company to others. " "It was as good as could be!" "I liked having someone to get it done at a reasonable price." "No complaints. Everything was very good!" "They did a wonderful job and we were happy. We found them on short notice and everything was great. " "Everything was perfect! I am going to have them back next year to do some more work!" "I was happy with the work." "Very happy with my experience. I will definitely be using the company in the near future."